« Greetings from New York! 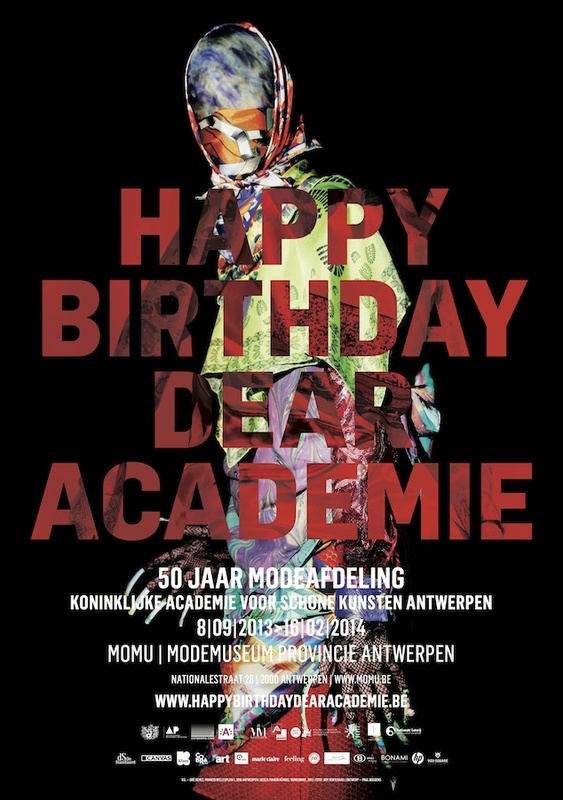 From 8 September 2013 till 16 February 2014 MoMu will present the exhibition ’50 Years Antwerp Fashion Department’. The exhibition is one of the many projects of the Royal Academy of Fine Arts Antwerp celebrating its 350th anniversary. The exhibition will highlight various aspects of Antwerp fashion education during the first fifty years of its existence: the department’s specific curriculum and its education and evaluation methods, the importance of graphic design in fashion, the various generations of students and their careers, the friendship and emergence of the ‘Antwerp Six’ (Ann Demeulemeester, Dries Van Noten, Dirk Van Saene, Walter Van Beirendonck, Marina Yee, Dirk Bikkembergs) and Martin Margiela, and the graduation projects of some of the most noteworthly alumni. This exhibition paints a picture of the programme as an artistic cocoon. Students are encouraged to achieve their utmost potential and expand their skills as well as developing an artistic signature on which they can build their future career. The exhibition illustrates how diverse the careers of the Academy’s alumni are and how this programme has left a mark on the international fashion world. This entry was written by David Flamée, posted on August 23, 2013 at 14:49, filed under Exhibition and tagged Ann Demeulemeester, Antwerp Fashion Department, Dirk Bikkembergs, Dirk Van Saene, Dries Van Noten, Happy Birthday Dear Academie, Maison Martin Margiela, Marina Yee, Walter Van Beirendonck. Bookmark the permalink. Follow any comments here with the RSS feed for this post. Both comments and trackbacks are currently closed.